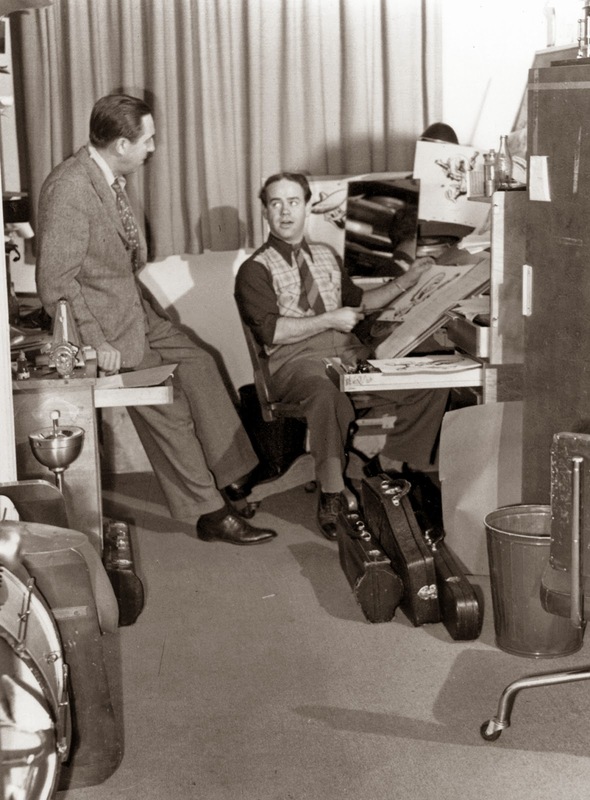 A great snapshot of Walt stopping by Ward's office around the time of The Three Caballeros. 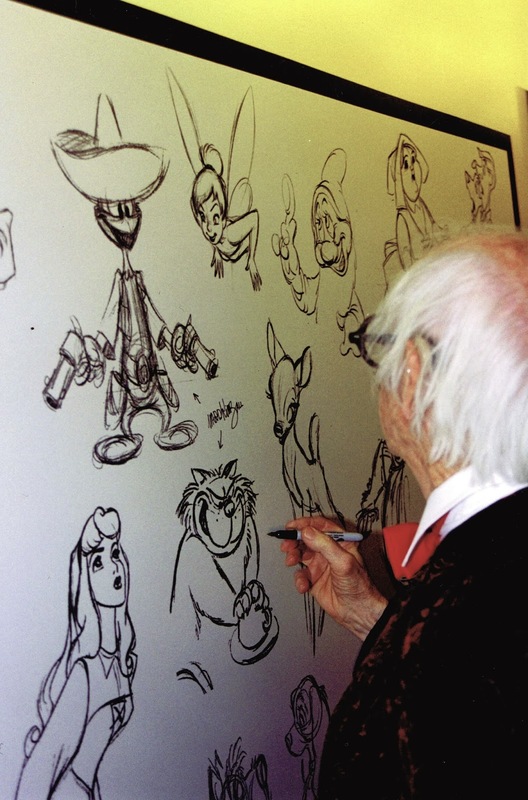 Kimball seems to be saying: "Just to let you know, Walt, I'm going to go a little crazy with this sequence." Ward is about to sign his sketch of Luzifer, which was part of several collages I had put together to decorate the second floor of the animation building in the late 1990s. Kimball's archive at home. Boxes and files full of clippings from magazines and other sources. I am not surprised that he collected T. S. Sullivant images. If I am not mistaken, one box is labelled Nice Ward Kimball Fan Mail. This photo was taken during my last visit to see Ward in 2002.